Shanghai has been on the frontier of China’s financial reform since the reform and opening up was launched. 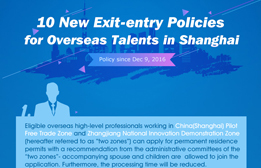 The establishment of China (Shanghai) Pilot Free Trade Zone has thrown new momentum to Shanghai’s International Financial Center Initiative. In 2014, Shanghai has been more market-based, internationalized, and law-ruling in the progress to an international financial center. Shanghai is one of a few financial centers that have a completer range of financial markets. In recent years, the financial transaction volume in Shanghai skyrocketed to 786 trillion yuan in 2014. Direct financing totaled 6.1 trillion yuan. The growth of IPO of companies and financial institutions in Shanghai Stock Exchange and financing tools such as interbank bonds and bills exceeded 40 percent compared with the previous years. Shanghai Gold Exchange has official launched “international board” in the Shanghai FTZ and 60 international members have joined. This ies the first international financial trading platform in the FTZ and is instrumental to improve Shanghai’s influence in the global gold market in terms of pricing. Shanghai Futures Exchange has established International Energy trading Center in the Shanghai FTZ. Approved foreign investors can participate in the futures trading of domestic crude oil. 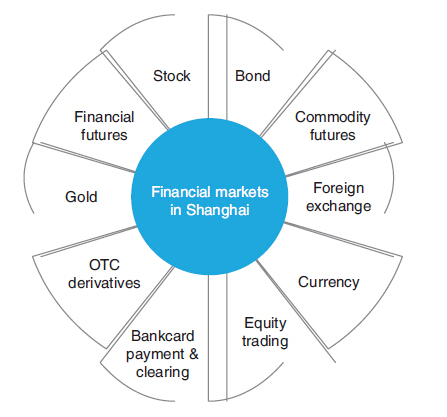 In 2014, Shanghai’s financial market became more open. Shanghai Stock Exchange, China Depository and Clearing Corporation Shanghai Branch, Hong Kong Stock Exchange, and Hong Kong Securities Clearing Company jointly launched “Shanghai-HK Stock Connect” and connect, for the first time, China’s domestic stock market with foreign market. This is a major milestone in the history of capital market development in China.